Add some greenery with glam with the Pine in High-Sheen Gold Pot by D&W Silks. The metallic gold pot holds an energetic faux pine for a sleek, contemporary look. 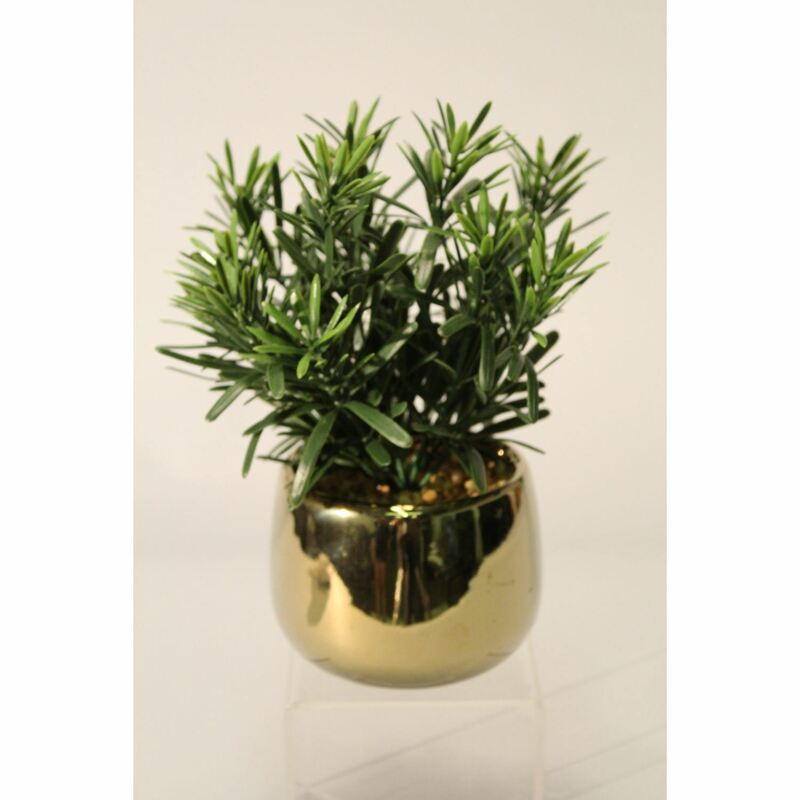 Add some greenery with glam with the Pine in High-Sheen Gold Pot by D&W Silks.